Golfers who are past the beginner stage and play golf regularly probably own a few pairs of golf shoes. While they aren’t required to play golf they are definitely a good idea. Choosing the right ones can be challenging so in the following is a spikeless golf shoe review. I have highlighted what to look for and the best selections for the best spikeless golf shoe. The style and design of golf shoes have come a long way. There are many on the market with stylish design and high quality. Nowadays modernised, spikeless golf shoes can be purchased boasting great quality and style. While the following reviews are for mens golf shoes please bear in mind that these brands also have golf shoes for women too. FootJoy are a leading golf shoe manufacturer and it’s no surprise with their traditional style and design. These shoes are water resistant as they are made of leather and feature lace up fronts. The FootJoy Contour Casuals are breathable and durable as well as having a padding tongue and collar for ultimate comfort. Like many leather shoes these will stretch and provide more comfort over time. Customer reviews cannot be overlooked and this shoes come with very high ratings. The FootJoy Contour Casuals are available in a wide variety of stitches and styles and appear like a casual shoe but boast the comfort of contours. 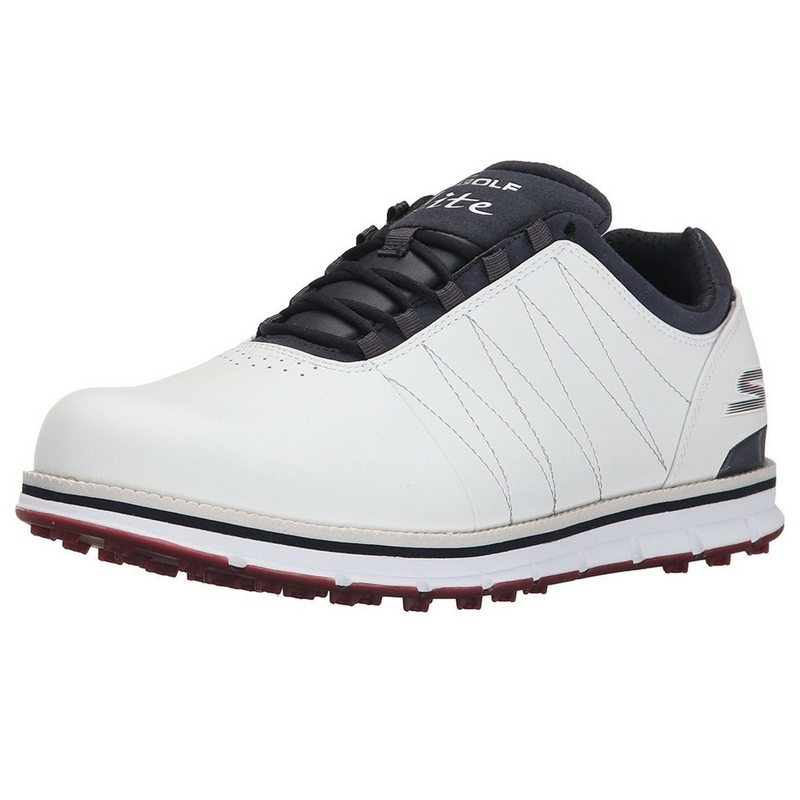 The Skechers performance Men’s Go Golf Tour Elite Golf Shoe is available in a variety of colours and varies in price depending upon the model. Very stylish, these shoes have a lace up front as well as padded cuffs. With a rubber sole and synthetic exterior these shoes boast water resistance and are extremely light weight. 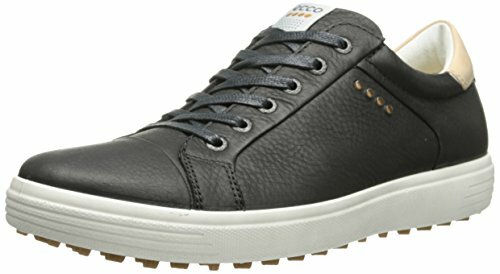 Skechers are well known for their comfort in shoes and the Skechers performance Men’s Go Golf Tour Elite Golf Shoe are no exception. With hundreds of positive reviews these shoes are a great buy. Featuring a leather finish, the Adidas Mens Adicross front lace ups are a very stylish design. The shoe features the Adidas stripes and are good shoe to both wear and look at. The upper surface of the shoe is a water resistant Climastorm material. In addition there is a light weight Cloudfoam sockliner for ultimate comfort. With a flexible spikeless outsole these shoes aren’t limited to use on the golf course. They are also very durable for all weather conditions. 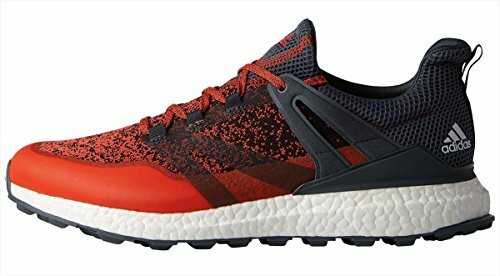 In addition to hundreds of glowing reviews Adidas provide a 90 day comfort guarantee for your purchase of the Adidas Mens Adicross. 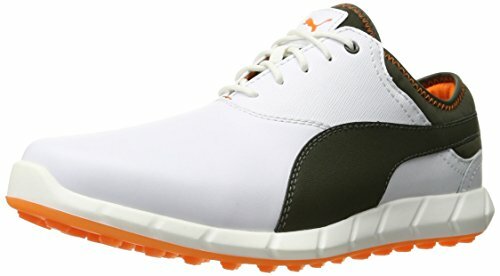 The Puma Golf Men’s Ignite Spikeless Pro Golf-Shoes are produced in a wide variety of colours and patterns. 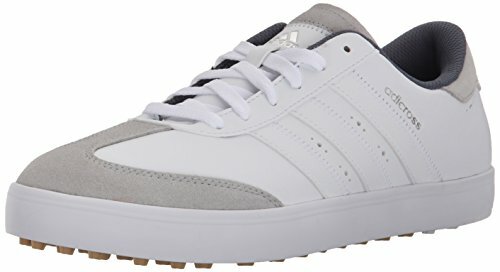 A very attractive and stylish golf shoe featuring lace up fronts. The price of these shoes changes with the colour style and pattern so be sure to check out which one you prefer. Puma is a global brand that is well known for it’s athletic wear. 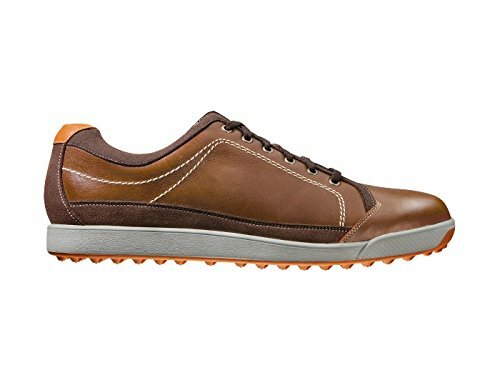 These shoes have been designed with for the golf course but can also be worn for everyday activities. Featuring energy-return foam these shoes will provide great stability while taking your shots. Made from synthetic leather and featuring a rubber sole these shoes are extremely lightweight. 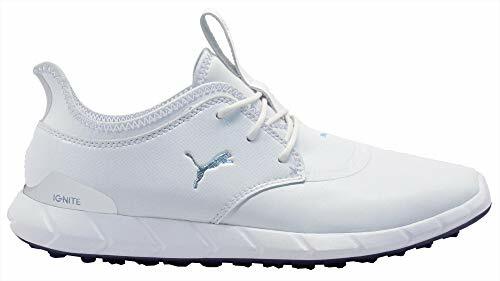 Puma Golf Men’s Ignite Spikeless Pro Golf-Shoes has really great traction which really help out on the golf course. The Nike FI Impact Golf shoe is endorsed by Tiger Woods and is an exceptional golf shoe. Nike are a very reputable sportswear brand and are forerunners with technological advancements in their products. Both the sole and shoe is made of synthetic materials with a lace up front. These shoes boast breathable mesh on the top of the shoe as well as a TPU overlay to waterproof the shoe. Featuring increased traction on the outer sole, there are grooves and rubber pods for improved grip. These shoes are very lightweight and fit comfortably around the foot. In addition, they are available in a very large range of colours and ranging in price to match. On top of this Nike provide a one year manufacturers warranty against the waterproofing material. 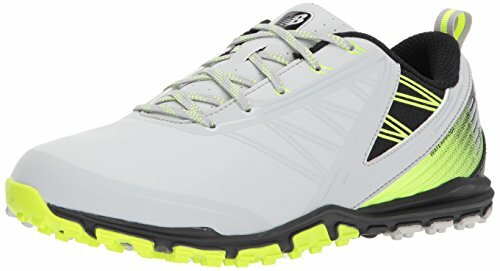 TheNike FI Impact Golf shoe is an excellent purchase and has excellent reviews from amazon customers. The ideal golf shoe should be comfortable to wear for a long time while giving you a long period of service with the least of maintenance. 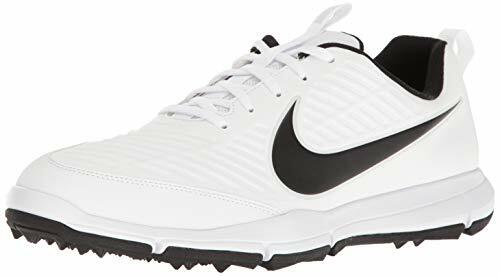 This leather and synthetic golf shoe from Nike is an excellent example of durability and comfort. It has a rubber sole which enhances the right grip for comfortable wear all day. Also, rubber soles are known to last a long time on regular use. With this shoe, you can enjoy playing golf in different conditions. The sturdy rubber soles cater to taking the right grip while playing while the design provides the proper contour for your feet. The upper of this shoe is water repellant to ensure you remain dry throughout your golf session. This style also contributes to the durability of the shoe. The shoe has full-length Phylon which provides its lightweight design for comfort. With this shoe, you have an easy time keeping it on for many hours. Additionally, the design contributes to the stable feel the shoe has regardless of the terrain and weather condition. One more thing, this shoe has a pull tab on the tongue which assists you to put it on and off quickly. One of the qualities to look for when buying a pair of spikeless golf shoes is the weight. An ideal shoe should be lightweight to allow comfort as you move around while playing golf. This particular one from New Balance is designed to provide you with the comfort to wear the shoe for long hours without feeling the strain around the feet’s pressure points. When it comes to the design, this shoe takes it to a whole new level. It has a synthetic and microfiber leather blend to last a long time with minimal care. The upper has water repellant properties to suit use in different conditions. Additionally, the shoe has a Fantom Fit support for extra comfort. The stability of the shoe also matters. It is determined by the design and quality of the sole. 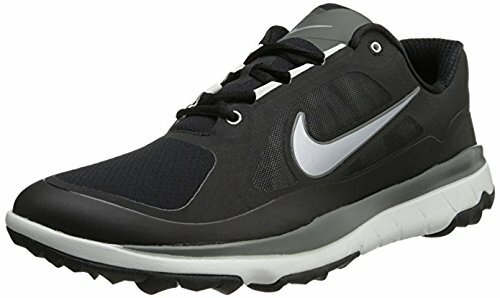 This shoe has a rubber sole which prevents slipping as you go about the sport. Also, rubber has a higher durability level compared to other sole designs. As per the reviews, the shoe is a low maintenance one and retains the quality for a long time. More to this, it provides the comfort like promised. If you spend many hours playing golf, you might want to consider a highly breathable shoe. You are likely to sweat and feel the heat in your feet while playing and this can be quite uncomfortable. 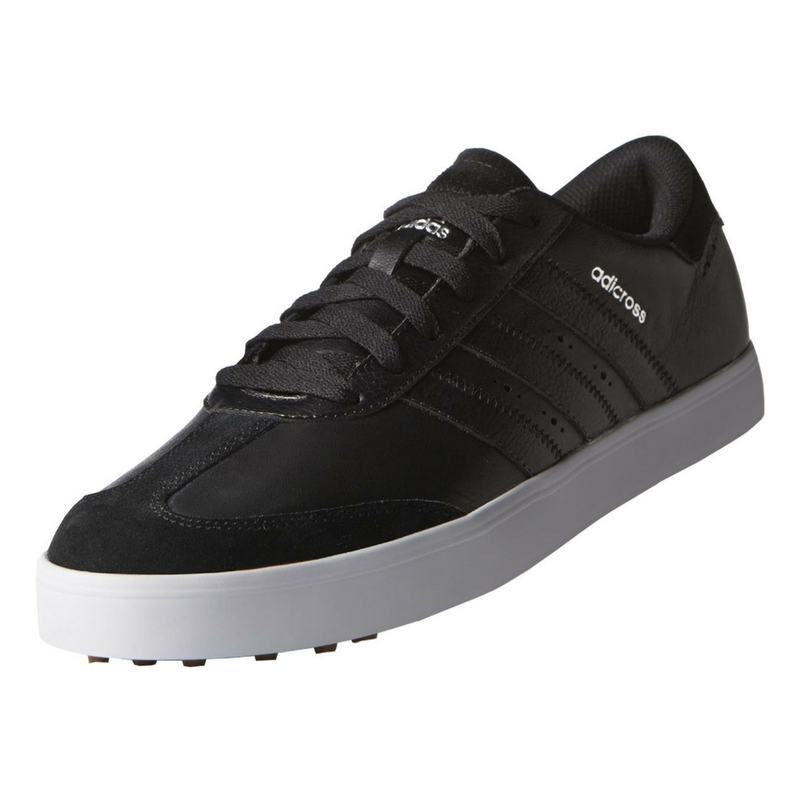 This shoe from Adidas is designed to provide the comfort while ensuring you remain dry all through your golf session. It has a circle knit upper material which provides stretch comfort while taking moisture and heat away from your feet. This material and the design of the shoe make it useful for daily use while ensuring low maintenance for regular golf sessions. The fabric of the upper is strong and durable. The inside of the shoe features boosting foam for the midsole which provides the right cushioning for comfort. The shoe has a rubber sole which is designed to last while giving you the desired grip while playing golf. The sole is designed with Adiwear traction for high stability and the right grip when walking or running. Additionally, the 3-stripe reinforcement with an external heel counter adds on to the durability. Also, it protects your feet from any pressure that might arise as you play. This shoe features a water-resistant design to ensure you remain dry all through. It has a soft fabric lining which helps to wick away moisture and heat away from your feet when wearing the shoes for a long time. The inside of this shoe has a high-rebound cushioning to ensure you are comfortable regardless of how long you wear the shoes. Also, this helps to ease off any pressure that your feet joints are likely to face. The upper of this shoe is made from faux leather for a smooth yet durable finish. This material is easy to care for and retains the quality for a considerable time. Another design feature of these shoes is the side perforations accents. It not only enhances the style but also bring about a cooling effect for comfortable wear. Also, the padded collar and tongue make it convenient to put on and off. Like most spikeless golf shoes, the sole of this one is made from rubber. It ensures comfort, the right grip and durability. The traction plate adds on to the stability of this shoe in various conditions. With the lace-up design, you get a comfortable fit around the top of your feet for comfort. One of the challenges most people face is maintaining golf shoes in the right condition. The easiest route to take is to find one in an easy-care material such as leather. This shoe is made from 100 % leather and has a casual feel to it. This makes it suitable for occasional golf sessions as well as everyday wear for regular playing. The grip of the shoe is one of the most important features to look for when selecting an ideal pair of gold goes. This one comes with a rubber sole which is known for its excellent grip quality and durability. Also, the bottom is thick enough to provide the right support while ensuring you remain stable and comfortable. It is lightweight so you can use for long hours in any weather condition. The shoes are comfortable to wear and remove. They feature a lace-up closure which makes it convenient to custom the right fit around the top of the feet. The design has a padded collar which not only makes it easy to wear the shoe but also contributes to the comfort of wearing the shoes for a long time. 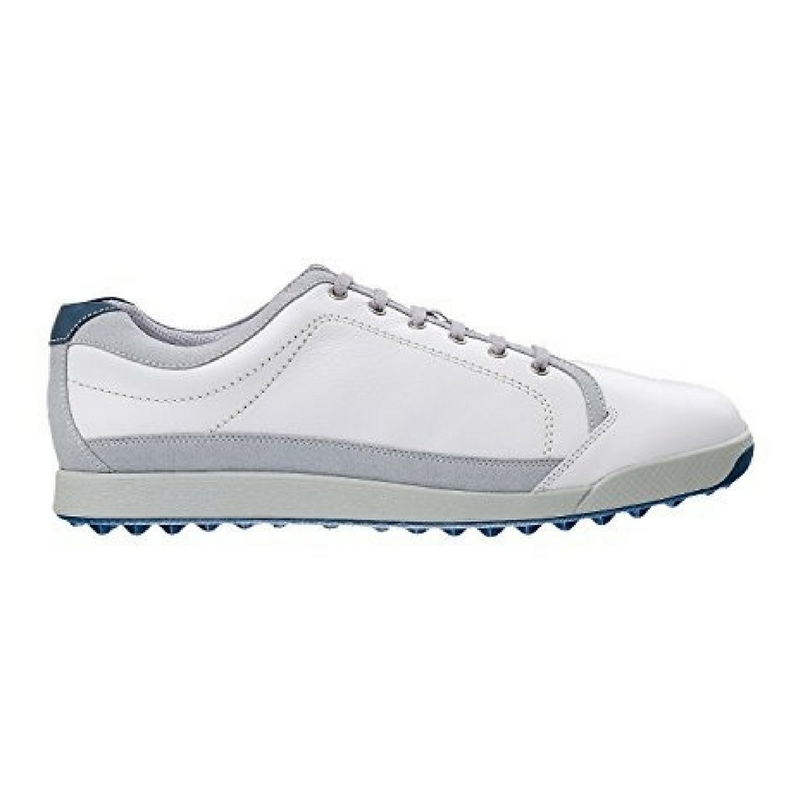 This pair of golf shoes meets all the standards for a comfortable and durable shoe. It comes in a 100 % mesh fabric which enhances the breathability of the shoe to suit sweaty and hot conditions. It has a sock liner and a mesh liner for heat management. With this shoe, you can last the hold day wearing it without worrying about the heat congestion and sweating as you play. The shoes are lightweight for comfort when you need to be out for golf for many hours. They have a rubber sole which helps you to gain the right grip without involving the pressure points of the feet while you move around. Since the terrain can be irregular, these shows will get you the proper stability in different conditions. The spikeless outsole has multi-directional traction lugs to help have the right footing as you play golf. The midsole contributes to the stability and comfort of these shoes ensuring you get the most out of this pair. From the reviews, it is clear that these are some of the soft and comfortable shoes available. The right material combination translates to a long-lasting pair requiring hassle-free maintenance. This pair from Puma is designed to serve you for a long time, delivering the benefits of a high-quality design. It comes in a leather and synthetic blend which is known for its superior quality. It is easy to care for, and the quality remains with regular use. The shoes feature high-quality soles made from rubber. This selection ensures you get the right grip and stability as you play. Also, the rubber sole adds on to the durability of the shoes which is a crucial factor. The Ignite foam adds on to the comfort of the shoe so you can wear it for a long time without feeling the pressure on the joints. Since you are likely to wear your golf shoes for some hours, it is essential to find a pair that can serve you for the intended time without feeling heat and sweat congestion. This pair is designed for breathability, so you remain dry and fresh all through your golf session. The upper is waterproof to ensure you can use in wet conditions without worrying about affecting the quality. While it is quite common to play golf with a cart many golfers prefer the tranquility of walking the course. There are many styles and designs in golf shoes so personal preference is a big part of it! If you prefer to walk the grounds then for long distances there should be a few key things to consider. If the grounds are damp, wet or dewy thin soled shoes will absorb the moisture and soak through. This gets quite uncomfortable, especially during colder times of year. For seniors, this is particularly concerning as a health risk but of course it is not limited to seniors. The first thing to consider would be a waterproof lining in the insole in addition to the top cover. This will prevent moisture from soaking through shoes from the top or bottom. Gore-Tex membrane is the best material and most common to seal shoes. As well as being a waterproofing material it is also breathable, something important if you are walking a course. The best spikeless golf shoes on the market will be made of this material. This is another key consideration for obvious reasons. Spiked or spikeless your golf shoe needs to have a solid grip and traction. With the stability from a solid gripping sole your swing will be more controlled and long drives will be consistently achieved. 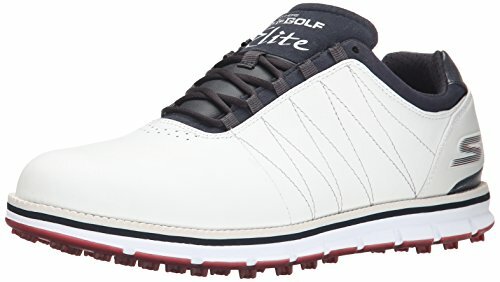 While spiked shoes were the only option previously, spikeless shoes now come with synthetic cleats or dimples which provide maximum grip but don’t stand to damage the greens. If you are walking the round then the lighter your shoes the easier it will be. 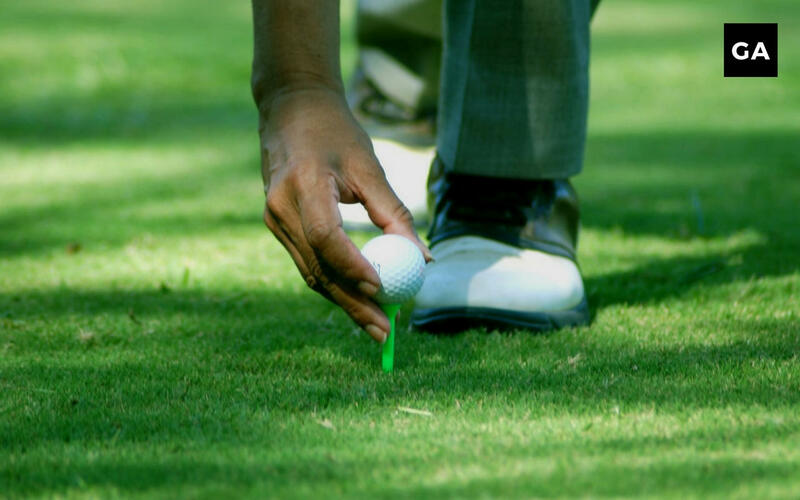 Conserving energy for your golf swings is the most important factor. A wide variety of materials and fabrics have been used for golf shoes and it is a very personal choice. Perhaps you have a few pairs for different seasons, courses and games. Traditionally leather has been used for golf shoes as the material can stretch and adjust to your feet. The problem with leather is that it isn’t quite so waterproof. The issue with synthetic material is that it does not stretch and adjust to the feet. So while they may be cheaper and lighter the comfort may not be best. In addition, synthetic material is not as breathable as others. Are Golf Shoes Part of the Golf Dress Code? While there may be a few courses that have strict shoe requirements but this is an extreme rarity. You can play in whatever you find comfortable so long as they don’t damage the turf. The thing that draws golf shoes apart, is that they are designed to keep your feet stable during a golf swing. A well fitted pair will stop any movement within the shoe which will provide more stability for your swing. If we examine a golf swing, the power exerts pressure on your feet downward, lateral and rotationally. So with the right shoes that are designed to minimise effects from these forces you will gain more stability and therefore a more controlled shot. From the best spikeless golf shoe review there are a few key things to consider. Firstly you want comfort especially if you like to walk the course. You need good traction to ensure stability for shots as well as a durable weather proof material. 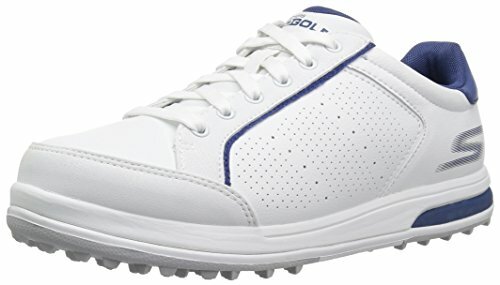 My personal favourites are the FootJoy Contour Casuals and the Skechers Performance Men’s Go Golf Tour Elite Golf Shoe. Spikeless golf shoes have come a long way over the years and are now both functional and stylish. They can be worn on and off the course and will make a huge difference in your stance and traction on the course.